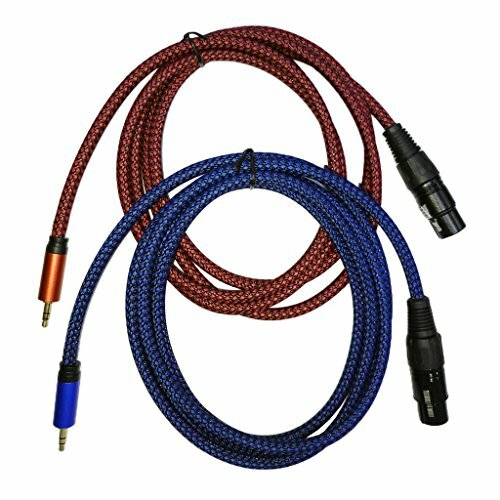 - 2PCS/2M Professional Low Noise Microphone Cable 3.5mm Male to XLR Female. - Suitable for Mixer, Amplifier, Equalizer, Limiter, Divider, Digital Decoder,etc. - Professional microphones connect cameras and other equipment. - For stage Audio, Press Conference, KTV, Professional Loudspeakers, Stage Lighting, Par Lights, Home Theater, etc. - Lightweight,fireproof,waterproof,great elasticity,toughness and environmental protection. Professional microphones connect cameras and other equipment. Suitable for Mixer, Amplifier, Equalizer, Limiter, Divider, Digital Decoder,etc. The back of heart wood pieces is blank and flat that ready to be painted, written or carved letters on them to show your love to someone special. Lightweight,fireproof,waterproof,great elasticity,toughness and environmental protection. 2PCS/2M Professional Low Noise Microphone Cable 3.5mm Male to XLR Female.